We're currently scheduling additional M. Allen Cunningham appearances for Perpetua's Kin. Check back in this space for updates. 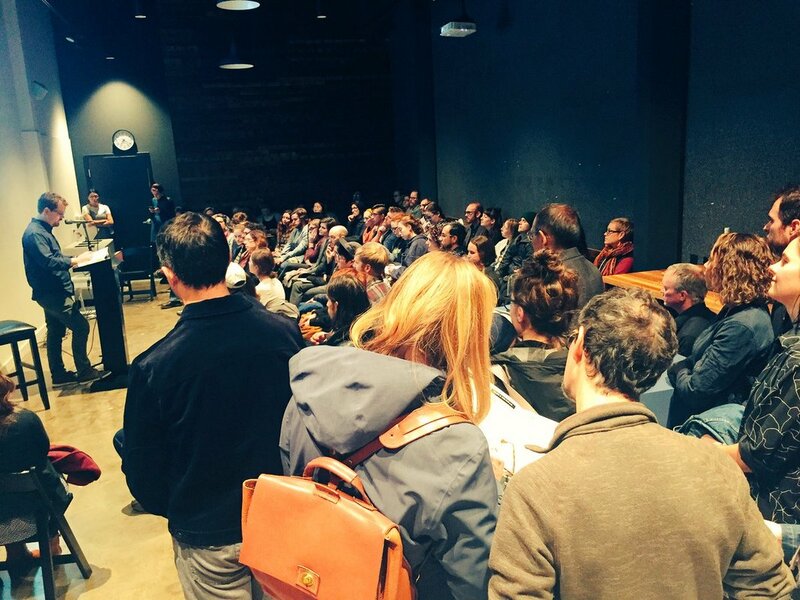 M. Allen Cunningham reads with Samiya Bashir, Anne-Marie Kinney and Janice Lee at Lit Crawl Portland 2018, "Unchartable: An Evening of Environmental Unknowns"
Featuring Jason Arias (Momentary Illumination of Objects in Motion), Margaret Malone (People Like You), Donna Miscolta (Hola and Goodbye), Woody Skinner (A Thousand Distant Radios), Sidney Wade (Bird Book), and Kristen Millares Young (Subduction). M. Allen Cunningham teaches Writing Fiction with Lin-Manuel Miranda's "Hamilton" at Literary Arts. Broadway smash and cultural sensation, Hamilton: An American Musical is a masterpiece of fictional form. With its ingenious handling of time, characterization, plot, perspective, voice, theme, and all the other essential elements of storytelling, Hamilton offers writers every ingredient for a master class in creating fiction. This 4-week class will explore the inner fictional workings of the sensational genre-bending musical. Through inspiring listening exercises, writing prompts, analysis, discussion, and related readings, participants will use Hamilton to unlock their understanding of how fiction functions and what makes a good story great. Learn more and sign up HERE. Margaret Malone, author of People Like You, reads at Why There Are Words PDX with David Biespiel, Elyse Fenton, Jacqueline Keeler, Sara Quinn Rivara, and Wendy Willis. Sidney Wade is a featured author and leads a poetry workshop at the Douglas Anderson Writers' Festival. Sidney Wade reads from Bird Book at the AWP Conference, with fellow poets Randall Mann, Gabrielle Calvocoressi, Molly McCully Brown, Mitchell L.H. Douglas, and Heather Derr-Smith. Bird Book author Sidney Wade discusses perspectives on the creative process of translation with fellow translators Hélène Cardona, Hilary Kaplan, Willis Barnstone, and Christopher Merrill. Sidney Wade reads with Natalie J. Graham and Nicole Harris. Woody Skinner reads and signs ​A Thousand Distant Radios. Sidney Wade reads and signs Bird Book. M. Allen Cunningham's Starting the Novel workshop at WORDSTOCK. OFFICIAL LAUNCH EVENT! Woody Skinner reads and signs A Thousand Distant Radios. 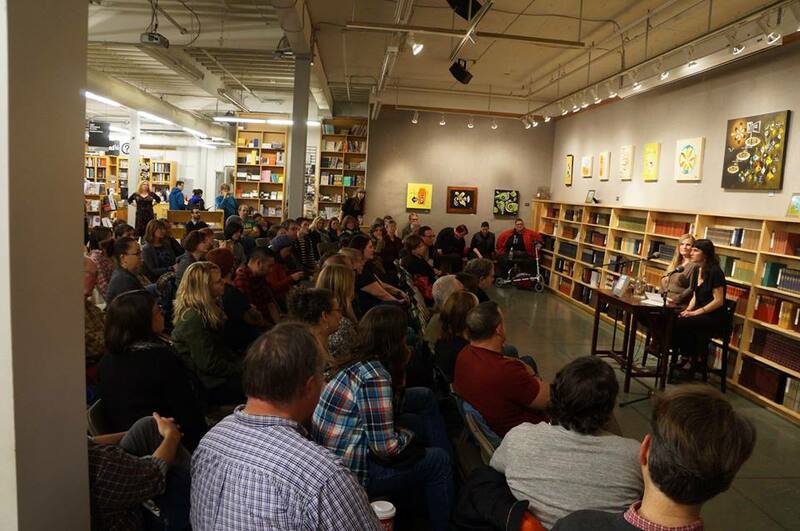 Woody Skinner reads and signs ​A Thousand Distant Radios at Nightbird Books. 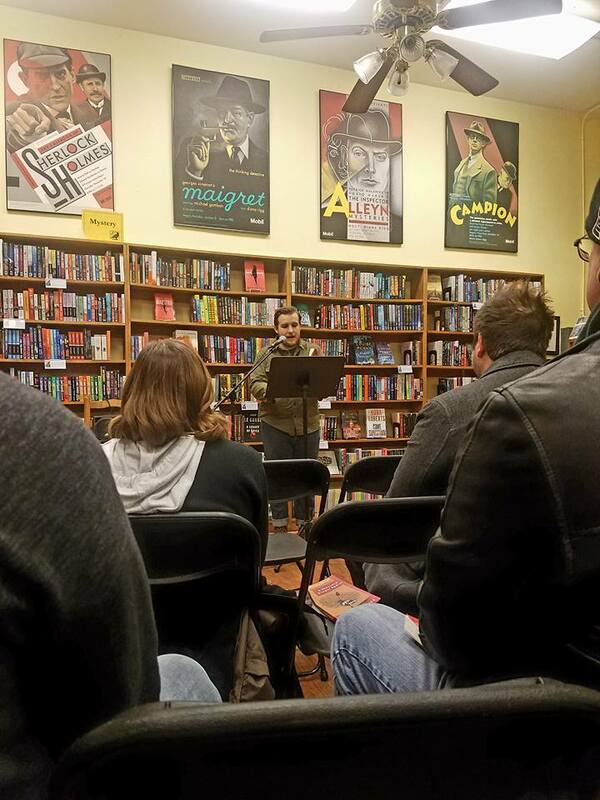 Woody Skinner reads and signs ​A Thousand Distant Radios at The Raven Book Store. Coffee with the Author: Woody Skinner signs ​A Thousand Distant Radios at Ellen Plumb's City Bookstore. Woody Skinner reads and signs ​A Thousand Distant Radios at Watermark Books and Cafe. M. Allen Cunningham reads in Southeast PDX's Plonk Reading Series. Balcones Fiction Prize reading featuring 2015 winner Margaret Malone. M. Allen Cunningham reads at WordFest. Margaret Malone reads with Alexander Maksik, author of Shelter in Place (Europa Editions). Margaret Malone reads at Williams College. Margaret Malone reads/signs books at WordFest in Longview. Margaret Malone reads with authors Alexander Maksik, Tim Murphy, and Randa Jarrar at Behind the Book in NYC's KGB Bar. Margaret Malone presents her work at the Mouths of Others Reading Series. Margaret Malone reads with Mike Copperman and Ashley Tolliver at Literary Arts. Margaret Malone reads in Willamette University's New Voices Showcase with Sara Jaffe, author of Dryland.